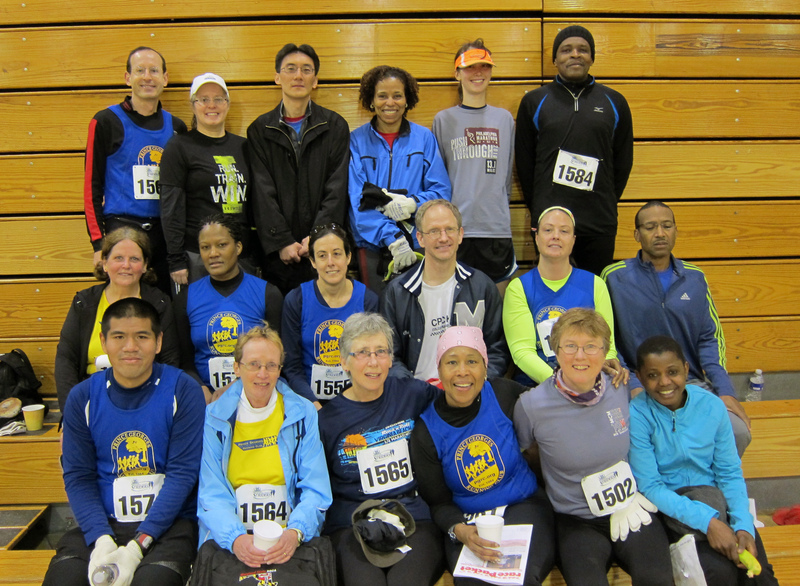 Congratulations to all of the PGRC participants of the Maryland RRCA Club Challenge today – and we had quite a crowd! If we missed you in the results, please let us know! What are your running goals for this year? Share them here (the more specific you can make your goals, the better) and we’ll check back quarterly to see how you are doing (and give you an opportunity to change or revise your goals). And perhaps a get-together in early 2012 to celebrate our achievements. Some ideas to consider for goals– of course pace (i.e. run a 5K in 25 minutes), distance (i.e. run a marathon), and other achievement (i.e. winning age group) are popular goals. Or how about training goals like mileage (say 20 miles per week), attend 20 track workouts or 10 Bowie am runs this year, run speed or hill or tempo workouts every other week, join a training program, follow a training plan, cross training/triathlon, keep a running log, or healthy eating goals. Or participate in a race series (such as the MDRRCA series, the Buddy Attick fun runs, or the Women’s Distance Festival Series), run a destination race, run a new route once per week, or run with faster or slower runners once per week. Then there are “giving back to the sport/club” goals like volunteer for races, or as a pace coach in a training program, recruit club members, help with trail maintenance, learn race timing, volunteer with the PGRC board or to help manage a race, or post to the PGRC blog. These are just a few ideas, there are many more possibilities. We hope you will share your personal goals, and then work to achieve them!